Your favorite weekly geek podcast turns 40 with A Trip To The Comic Shop! Join us for a bunch of comic stories, discussions about comic book shops, and even some fun comic book games. Possibly involving drinking. Listen to it now or read more after the break! 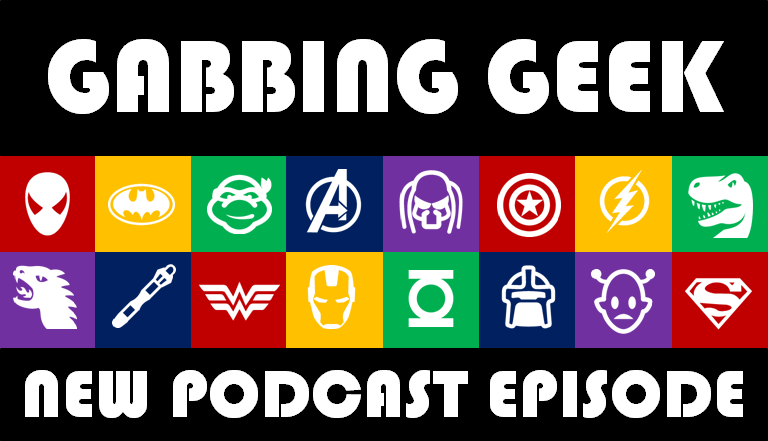 Holy smokes the Gabbing Geek podcast turns 40 with A Trip To The Comic Shop! We start with a quick reminder to read Watchmen for episode 42—but you should have read it by now anyway! In our Geekiest News of the Week (GNOW) we cover the Deadpool movie, Chris Pine’s role in Wonder Woman, and the end of DC’s massive Convergence event (we even include a Spoilerbot skip ahead notice if you’re still reading Convergence). After some awesome GeekMail (including a fun drinking game–play along with us!) we then have a segment called Comic Book Confidential. It really isn’t confidential, Watson just wanted an opportunity to use his Announcer Voice. In this segment we talk about our comic book shop memories and what makes a great comic book store as compared to a regular or, dare we say it, bad comic book shop. Then it’s time for a comic-related game as Watson leads Ryan and Jenny on his variation of 20 Questions. Who will win? Can Watson count to 20? You’ll find out in episode 40!